I've been a big podcast fan for years now, originally tuning in to aftershows for TV series I loved including LOST and Dexter, then going on to to discover popular true crime shows like Serial and Criminal. In fact, I've enjoyed discovering new podcasts so much that my phone is forever angry at me for filling up all my storage space with my new downloads - even now I can see the dreaded 'storage space running out' symbol in the top left hand corner of the screen. It takes so much less time to download episodes than it does to find time to listen to them, doesn't it? 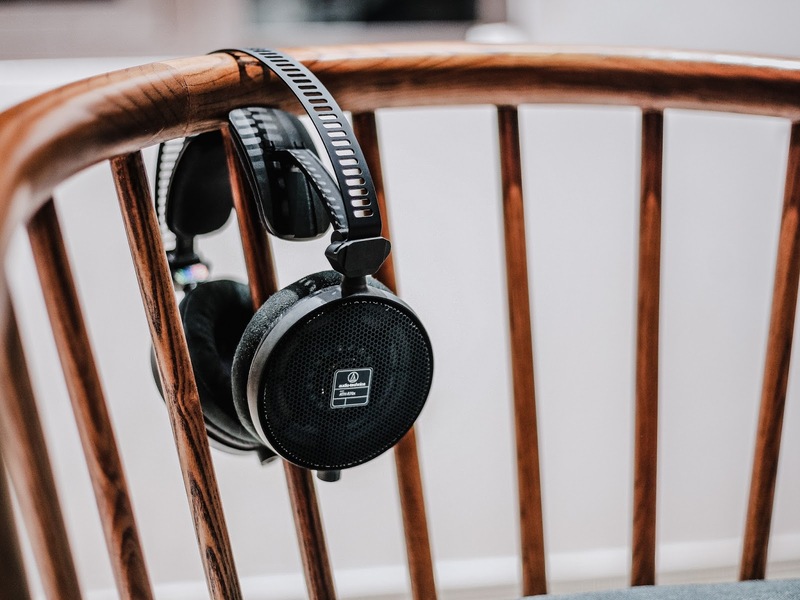 Since travelling to my new job involves regular lengthy bus journeys I've been trying to use this time to catch up on podcasts and today I thought I would share a few of my top picks to make your daily commute a little more interesting. I had a lot of trouble stopping at just seven so perhaps I'll share another list in future, but for now here are a few recommendations to add to your playlists. One of my all-time favourite podcasts and the one I most look forward to downloading each week is The Popcast. Hosted by Knox McCoy and Jamie Golden, this weekly podcast focuses on all things pop culture and entertainment, or as they like to call them 'the things that entertain, but do not matter'. This show is like listening to your friends having a chat which makes it the perfect podcast to brighten your commute. There are currently over 200 episodes to catch up on and I'd highly recommend visiting the archives to ensure you don't miss out on some of the most popular episodes. If, like me, you've fallen in love with the new fab five from Netflix's Queer Eye reboot (it's honestly impossible to pick a favourite!) this one is for you. In this fortnightly podcast Jonathan van Ness (Queer Eye's grooming expert) is joined by an expert guest to explore a subject he's curious about. There's a huge variety of different topics on the show with episodes that cover everything from interior deisgn to artificial intelligence, gender identity, internet security and even Brexit. Whether the topics instantly appeal to you or not, Jonathan manages to make each and every one of them interesting and you'll always come away feeling like you've learnt something. If you're a fan of chatty podcasts ID10T is definitely one to subscribe to. Formerly known as Nerdist, ID10T is a weekly show hosted by Chris Hardwick featuring well-known guests from the world of entertainment. From actors to authors, directors, comedians and musicians this podcast has something for everyone. Episodes are usually around an hour long so they're perfect for a longer commute, plus the podcast has been around for about eight years so there are a serious amount to work your way through - we're talking 100s! Another podcast I'm forever recommending to people is The Black Tapes, a docudrama series that follows journalist Alex Reagan who sets out to make a show about people with interesting jobs only to find herself drawn into the world of the paranormal. Along the way she meets Dr Richard Strand, a famous paranormal investigator who doesn't actually believe in ghosts but has a collection of VHS tapes featuring the cases he has yet to solve. This one stands out to me as it was the first of this style of podcast I discovered. I fell in love with the drama, characters, mystery element and of course the twists and turns! The storyline can get a little complex at times as there are quite a few names and details to remember but the way everything links back to the collection of black tapes is satisfying. Sadly this podcast wrapped up it's third and final season last year but honestly, I'm very tempted to go back and listen to it all over again! Also from the team behind the Black Tapes is another mysterious podcast; Rabbits. Despite what the name might suggest this isn't a show all about adorable fluffy bunnies but is another docudrama, this time centring around a game named Rabbits. Our guide through this story is Carly who is looking for her friend Yumiko who disappeared under mysterious circumstances. There are currently ten binge-worthy episodes to add to your queue and whilst I haven't seen any updates on a second season yet, I hope that we'll get to hear more of the story in future. Hosted by YouTubers Ingrid Nilsen and Cat Valdes, Ladies Who Lunch is a weekly conversational podcast that's not afraid to tackle any topic. Since it's launch in 2016 the duo have covered a whole host of themes described as the 'topics often left out of polite conversation', covering everything from careers to relationships, mental health, politics and identity. During each episode the hosts also often draw from their own life experiences to offer advice and guidance in response to listener's letters. The final podcast on today's list is Is It Just Me? (formally Glamour magazine's Hey It's OK) hosted by Jo Elvin and James Williams. I stumbled across this one on the recommendations section of my podcast app last year and have since caught up on a lot of episodes from the archives. Each episode features a different celebrity guest chatting about a selection of topics for around 30-50 minutes and it's a great easy-listening show.